Picture the scene - It's Christmas Day and you have hyped up children who are overly excited about their new toys. They get so excited that, oops! A toy gets broken. Cue tears. If your house is anything like mine, you never have superglue when you need it. 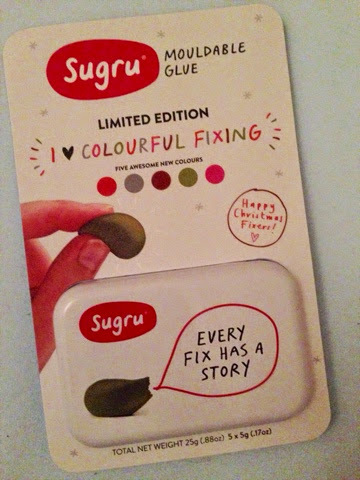 That's where Sugru comes in. Sugru is a wonder material that feels like play dough but is as tough as superglue and it sticks to pretty much anything (ceramics, glass, metal, wood, and most plastics and fabrics). It's only £9.99 so it makes a fab stocking filler or Secret Santa gift. 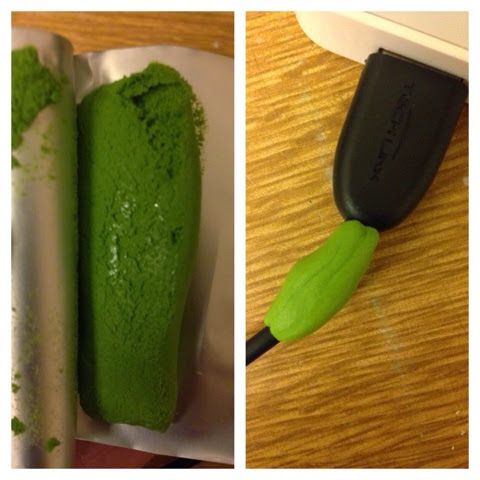 My iPhone cables always giving up on me so I've been testing out my Sugru on that. It really is like a soft play dough. It does have a bit of a chemically smell that I don't care for too much but that is to be expected. It moulds so easily and stays in place. Once you give it time to set it turns into a durable, flexible rubber that stays stuck. Unless you remove it of course. I was actually surprised at how well it held! It is available in a range of colours: silver grey, awesome orange, woody brown, mossy green, and panther pink. 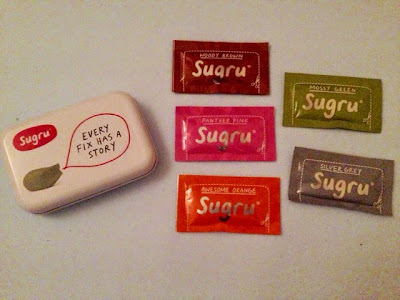 Sugru is such a great, innovative product and you should really check out their timeline story. You can find out more about Sugru at the website, Facebook and Twitter.